As the kick off to the World Cup creeps closer, Globehunters have delved into the data, to find out just how much it would cost fans from each country to go and support their team at the 2018 World Cup. So how much does the average fan pay? Who is getting the best deal? Plus, which team has the most dedicated supporters for the 2018 World Cup! 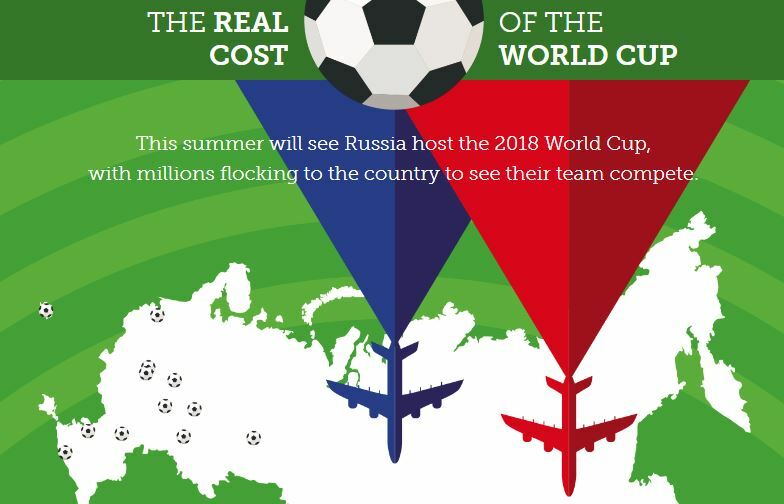 By looking into flights, hotels and tickets for the three groups stages matches, we are able to present the real cost of the World Cup. Click the image below to open up our interactive comparison for all of the teams in the 2018 competition. Don't forget to check out our deals on cheap flights here at Globehunters, or get in touch with one of our travel consultants who will help you with your travel needs.